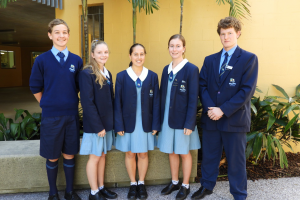 Lutheran Education Students win at the Qld Government Buy Smart Comp. The annual awards ceremony for the Buy Smart Competition was held on 1 November 2018 at Parliament House. Attorney-General and Minister for Justice Yvette D’Ath presented awards to 20 winning students from Years 4 to 6. Faith Lutheran College Redlands and St Pauls’ Lutheran Primary Students were included in the winners! Congratulations. The Lions Youth of the Year Competition for 2019 was held a little earlier this year for Grace Lutheran College students sponsored by the Redcliffe Kippa-Ring Lions Club. On Tuesday evening last week, three students presented a five minute prepared speech and 2 x two minute impromptu speeches that impressed the judging panel of four. 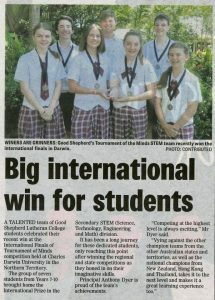 GSLC wins an international Tournament of the Minds award! Another Lutheran Education Queensland School wins an International Award – Well Done and congratulations to the students and staff of Good Shepherd Lutheran College! 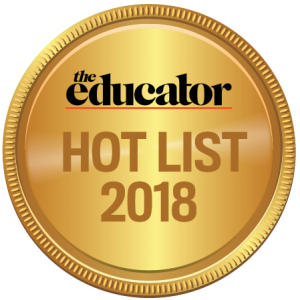 Almost 10% of the National Innovative Educator Awards for 2018 across all sectors of Education in Australia have been Educators from Lutheran Schools in QLD – Well Done All. 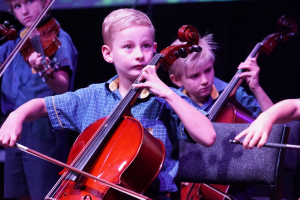 Lutheran schools provide a wide range of opportunities for students to develop their gifts and talents, enrich learning and connect through valuable shared experiences. Lutheran Education Queensland. Inspired learning for life. 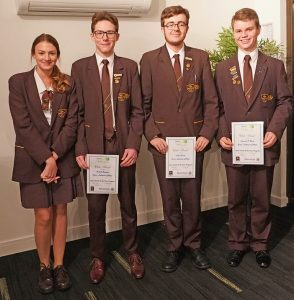 Congratulations to our Pacific Lutheran College deep thinkers who achieved great results at the National Future Problem-Solvers Finals recently.